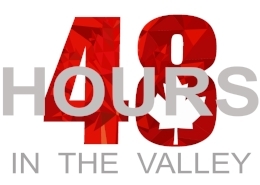 48Hrs in the Valley introduces Canada’s most promising startups to Silicon Valley’s top mentors, investors, and industry executives. Once a year, C100 hosts promising Canadian companies in Silicon Valley for 48Hrs of mentorship, networking opportunities, investor meetings, and unparalleled access to C100's extensive network in Silicon Valley. “48Hrs in the Valley” has been a signature C100 program with over 250 alumni companies since 2010. What does the 48Hrs program include? What is the criteria to be nominated? Nominations can be done by a Charter Member, C100 Partner, or 48Hrs Alumnus. C100 convenes a Selection Committee of experts to review each 48Hrs in the Valley application and rank applicants based on a variety of factors. Companies first must meet all of our nomination criteria. Our Selection Committee factors in market traction, industry, funding raised, annual revenue, number of users, number of employees, and the value (as conveyed by the applicant) that this selection would have for their company. Our Selection Committee convenes 3 times to review 48Hrs in the Valley applications during the application period. Although most companies can expect to hear about selection on the announcement date, a small number of companies may be accepted into the cohort earlier as we are considering applications on a rolling basis. C100 depends on its nominators to find highly talented founders, both male and female, both visible and less visible. As you make nominations, please pay special attention to find and include talented founders with a one-of-a-kind value proposition, those outside major tech hubs, and those that are female-founded. You can expand your knowledge of potential applicants by asking C100 for a list of sources to find amazing startups. The next 48Hrs in the Valley will take place on May 7-8, 2019 in the San Francisco Bay Area. When Is the Next 48Hrs? 48Hrs in the Valley happens once per annum. The next event is May 7-8, 2019. HOW DO I APPLY TO 48HRS? Applications become available upon acceptance of a nomination by one of the C100's Partners, Charter Members or 48Hrs Alumni. C100 will be accepting nominations from Partners, Charter Members, and 48Hrs Alumni until February 15, 2019. Sign up for our newsletter to receive 48Hrs in the Valley notifications. WHAT KIND OF COMPANIES DO YOU LOOK FOR? While we review all qualified applications from all Canadian startups, we are ultimately interested in inviting companies that will receive the most benefit from their time in the Valley. This means that companies who are either in high-growth sectors, are looking for to expand internationally or are seeking funding can gain the most from the breakout sessions, mentorship, meetings and networking that the program provides. WHEN WILL I KNOW IF MY COMPANY IS CHOSEN? All companies who are chosen by the selection committee will be informed immediately and it will be requested that they respond within 24 hours in preparation for the final announcement of the cohort. WHAT IF I DON'T KNOW A C100 CHARTER MEMBER, C100 PARTNER OR 48HRS ALUMNI? We encourage you to reach out to some! They would not only be instrumental to your application process, but would also likely be a good contact to have. A directory of some of our members can be found here. Should you have exhausted all leads, C100 will also be nominating promising companies. Please contact us directly at connect@thec100.org. The C100 will cover all program expenses - including meals during the program. Travel and accommodations are not included. The Program consists of two full days, including programming and networking receptions. The cohort is encouraged to come early or stay after the event, scheduling meetings in the Valley accordingly. WILL THERE BE TIME TO SCHEDULE OUR OWN MEETINGS? Selected companies must attend all scheduled activities throughout the program, but we encourage companies to schedule their own meetings before or after the program days. Read the FAQ and still have a question? Feel free to reach out to us at connect@thec100.org.